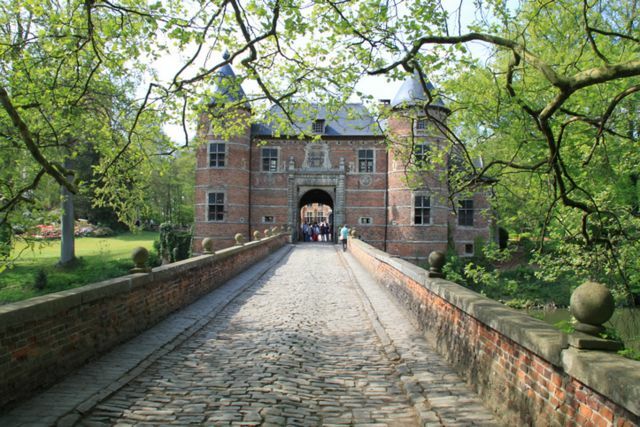 The spring flower exhibition Floralia Brussels is in the park and the greenhouses at the castle of Groot-Bijgaarden from early April until early May. 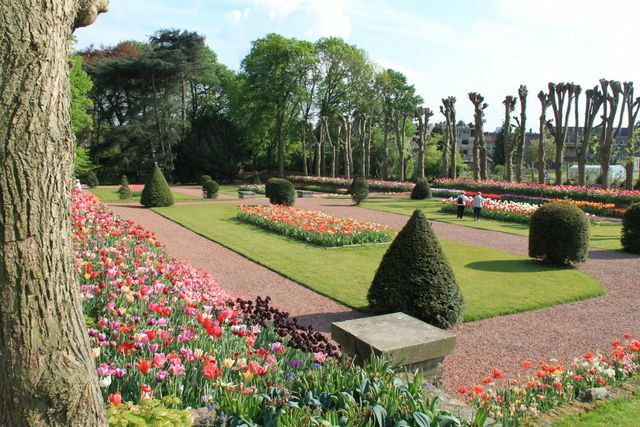 The park, which is about 14 hectares, incorporates nearly all spring bulb varieties. 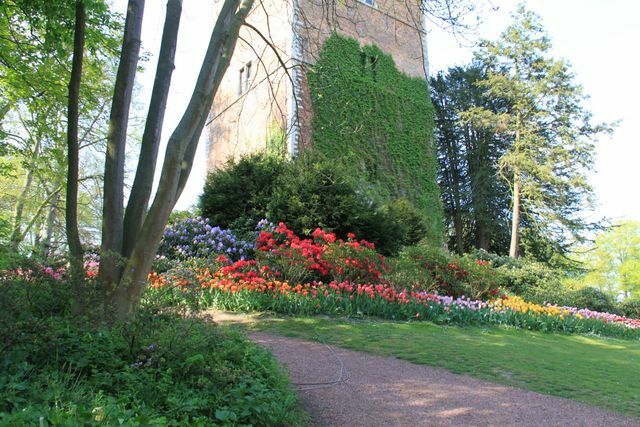 The castles’ gardeners have planted by hand, under the direction of specialists from The Netherlands, more than 1 million bulbs. 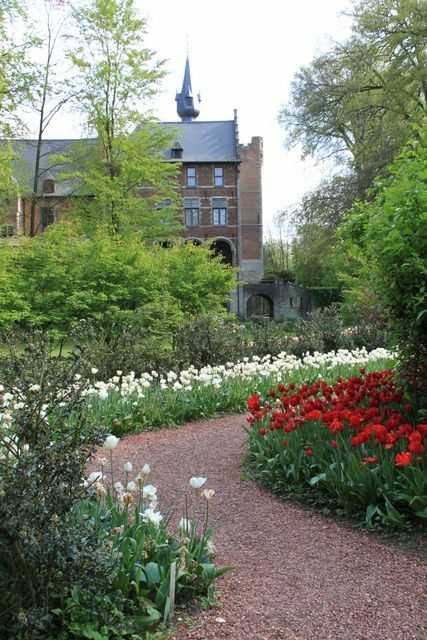 During the four weeks in which the exhibition takes place flower lovers will have the opportunity to discover 500 varieties including 400 tulip varieties. 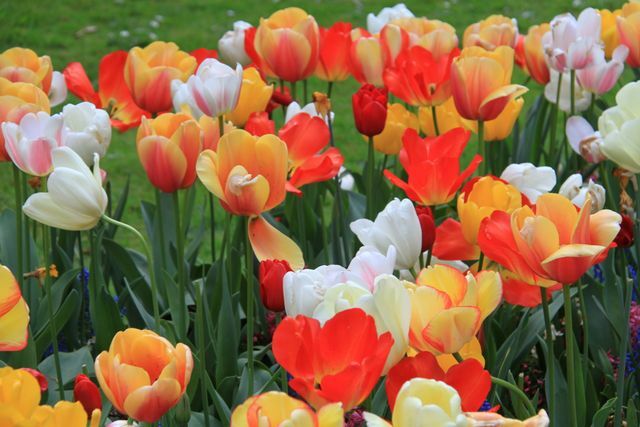 The tulips are divided into three categories: early flowering, midseason and late flowering but may also be labelled as classic triumph, botanic tulips, lily flowers, viridiflora, parrots and multi–flora. Amongst the narcissi and daffodils, very rare varieties can be discovered such as the papillon narcissus and numerous botanical varieties. 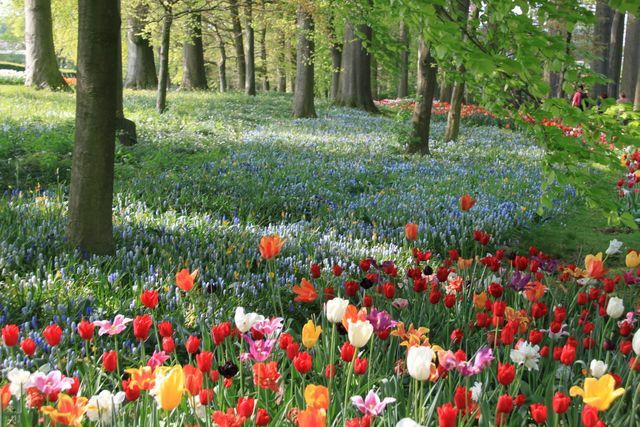 A sea of muscari, wild tulips, violets, azaleas and rhododendrons spreads out under the ancient trees. A prestigious indoor exhibition in the 1000m² newly restored greenhouse. 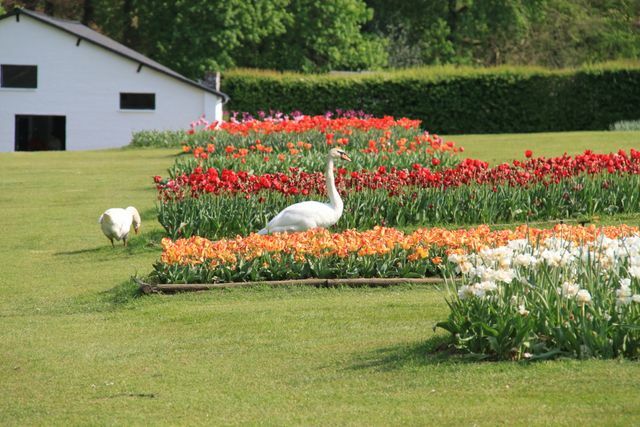 The flower beds and mostly the flower arrangements will be changed each week. 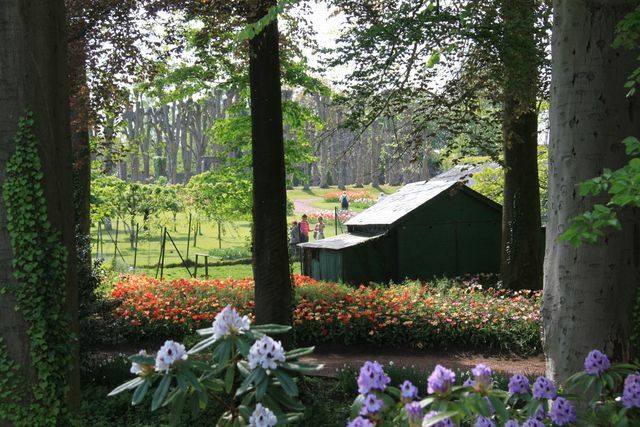 The garden next to the orchard is dedicated to the rhododendrons and the azaleas. 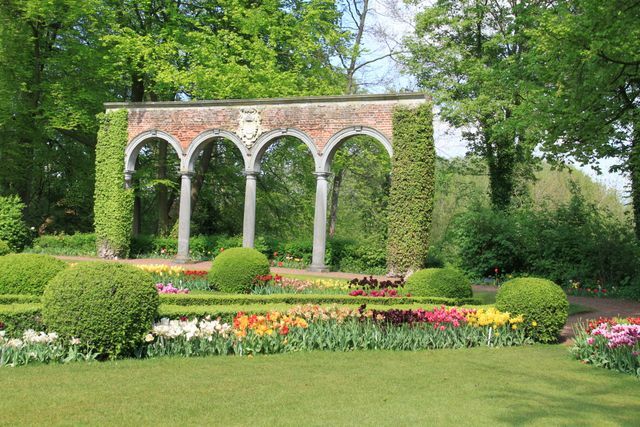 They come from Exbury Gardens in the south west of England. 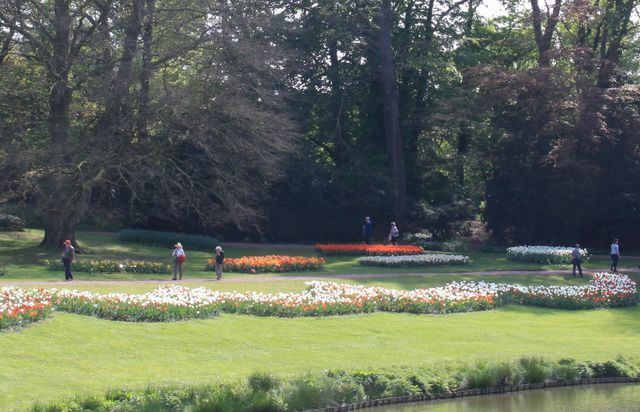 These gardens were created in the beginning of the 20th century and due to their creator Lionel de Rothschild were without any doubt the first gardens in the world to exhibit rhododendrons.